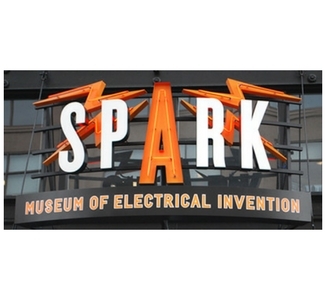 The Spark Museum of Electrical Invention ﻿﻿offers an exciting and educational experience for audiences of all ages. Many compelling, interactive exhibits spanning four centuries of scientific achievement and cultural heritage are featured in a world-class collection of unique objects including the giant "MegaZapper" Tesla Coil which produces nine-foot lightning bolts! The Spark Museum displays the inventions and innovations that changed the course of human history.